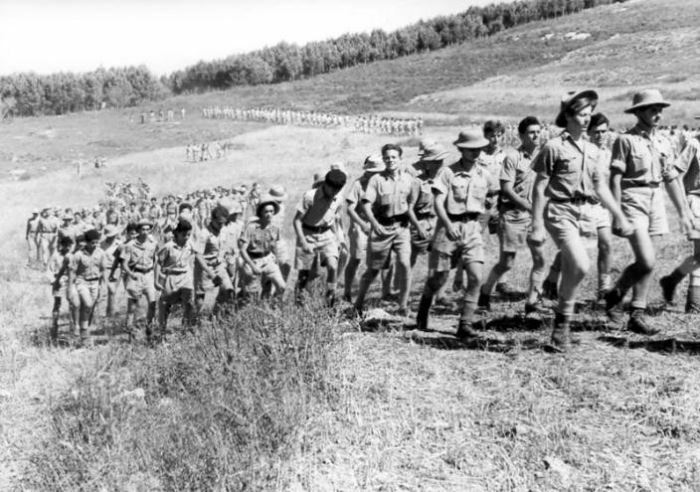 Despite the fact that the Zionist enterprise and its offspring, the State of Israel, have existed for only slightly more than a century, the long history of the Jewish people, the wide dispersion of its members, and the tensions and relations with other inhabitants of the region, have generated a society multifaceted and complex far beyond its short lifespan. In this course, we will chart and analyse the history and development of Israeli society, from its beginnings in the Zionist idea and the culture that existed in Ottoman Palestine during the late Nineteenth Century to the present day. Approaching the subject of Israeli society through the lens of history allows us to observe broad trends and to track changes, not only in its composition, but in its culture, maturity, and impact, as well as to make forecasts about the decades to come. Furthermore, by telling the history of Israel through its variegated, vibrant, and varying society and by studying the topic through a perspective different from most politics-centred approaches, we will obtain a better appreciation of how and why the country, its history, and its people have evolved as they did. 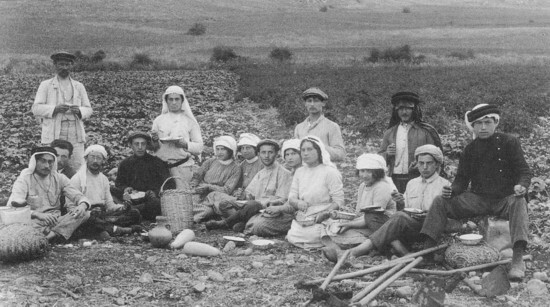 Specific groups that we will study include early Zionist pioneers during Ottoman and British rule, Middle Eastern Jewish immigrants, Palestinian-Israelis, non-Jewish communities in Israel (Druze, Bedouin, Bahāʾīs, and Circassians), recent Russian and Ethiopian immigrants, and foreign labourers and migrants. We will also examine thematic topics, such as religion and state, gender and sexuality, and contemporary popular culture. This course represents a combination of a lecture and seminar approaches and individual participation in class dialogues is critical. Most classes include a discussion period for conversation about required reading. Each student will have the opportunity to present a brief review of a text, after which he/she will lead a discussion. At the end of this course, it is hoped that students will have not only a better understanding of Israeli society, but have developed better research skills, practiced critical thinking and reading, and gained experience collecting and presenting information clearly. Shapira, Anita. Israel: A History. The Schusterman series in Israel studies. Transl. from Hebrew by Anthony Berris. Waltham: Brandeis University Press, 2012. Rubin, Barry. Israel: An Introduction. New Haven: Yale University Press, 2012. Shafir, Gershon and Yoav Peled. Being Israeli: The Dynamics of multiple citizenship. Cambridge Middle East Studies, 16. Cambridge: Cambridge University Press, 2002. Shindler, Colin. A History of modern Israel. 2nd ed. Cambridge & New York City: Cambridge University Press, 2013. Rebhun, Uzi and Chaim Isaac Waxman, eds. 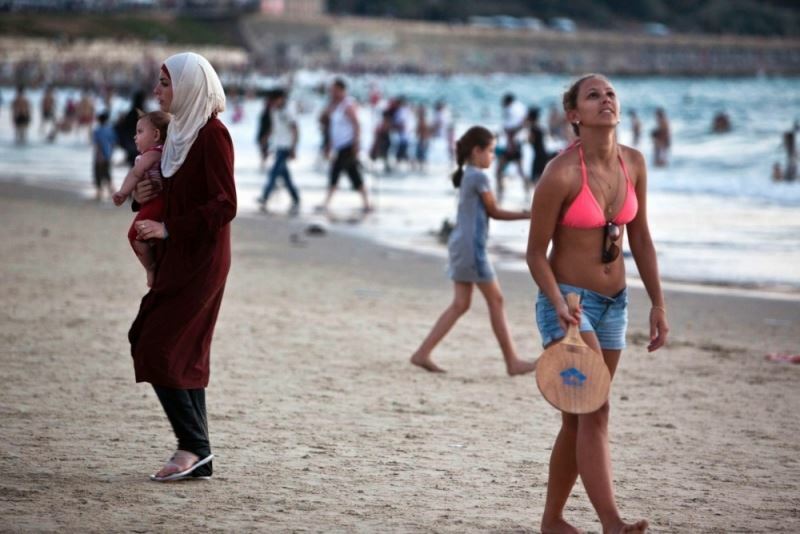 Jews in Israel: Contemporary social and cultural patterns. Waltham: Brandeis University Press, 2004. Ben-Rafael, Eliezer and Yochanan Peres. Is Israel one? : Religion, nationalism, and multiculturalism confounded. Leiden & Boston: E J Brill, 2010. Freedman, Robert O, ed. Contemporary Israel: Domestic politics, foreign policy, and security challenges. Boulder: Westview Press, 2009. Uzi Rebhun, ‘Major trends in the development of Israeli Jews: A Synthesis of the last century’, in Jews in Israel: Contemporary social and cultural patterns, ed. 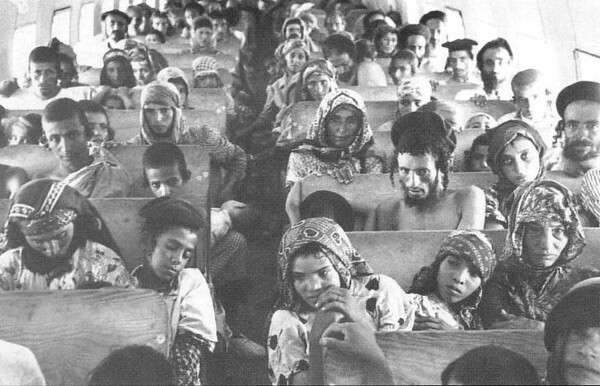 Rebhun and Waxman, Jews in Israel, 3-19. Asher Arian, Politics in Israel: The Second republic, 2nd ed. (Washington, DC: CQ Press, 2005), 19-47. Dan Horowitz and Moshe Lissak, Trouble in utopia: The Overburdened polity of Israel, SUNY Series in Israeli Studies, transl. from Hebrew by Charles Hoffman (Albany: State University of New York Press, 1989), 1-97. Shlomo Avineri, The Making of modern Zionism: The Intellectual origins of the Jewish state, (New York City: Basic Books, 1981), 3-13, 73-82, 88-100, 112-124. Raymond P Scheindlin, A Short history of the Jewish people (New York City: Oxford University Press, 1998), 1-23. Mark Tessler, A History of the Israeli-Palestinian conflict, 2nd ed. (Bloomington: Indiana University Press, 2009), 7-36. Tudor V Parfitt, The Jews in Palestine, 1800–1882 (London: Royal Historical Society, 1987), 1-10, 180-223. David Saul Landes, ‘Palestine before the Zionists’, Commentary 61.2 (February 1976), 47-56. Jehuda Reinharz, ‘Old and New Yishuv: The Jewish community in Palestine at the turn of the Twentieth Century’, Jewish Studies Quarterly 1.1 (1993), 54-71. Moshe Maoz, ‘Changing relations between Jews, Muslims, and Christians during the Nineteenth Century, with special reference to Ottoman Syria and Palestine’, in Jews, Turks, Ottomans: A Shared history, Fifteenth through the Twentieth Century, ed. Avigdor Levy, 1st ed. (Syracuse: Syracuse University Press, 2002), 108-118. Ruth Kark, ‘Changing patterns of landownership in Nineteenth-Century Palestine: The European influence’, Journal of Historical Geography 10.4 (October 1984), 357-384. Matthias B Lehmann, ‘Rethinking Sephardi identity: Jews and other Jews in Ottoman Palestine’, Jewish Social Studies n.s. 15.1 (Fall 2008), 81-109. Margalit Shilo, ‘The Transformation of the role of women in the First Aliyah, 1882–1903’, Jewish Social Studies n.s. 2.2 (Winter 1996), 64-86. Hem hayu ʿaśarah [They were ten], directed by Baruch Dienar (Israel, 1961), 105 min. Israel Kolatt, ‘The Organization of the Jewish population of Palestine and the development of its political consciousness before World War I’, in Studies on Palestine during the Ottoman period, ed. Moshe Maoz (Jerusalem: Magnes Press, Hebrew University, 1975), 211-245. Neville J Mandel, ‘Ottoman policy and restrictions on Jewish settlement in Palestine: 1881–1908: Part I’, Middle Eastern Studies 10.3 (October 1974), 312-332. Neville J Mandel, ‘Ottoman practice as regards Jewish settlement in Palestine: 1881–1908’, Middle Eastern Studies 11.1 (January 1975), 33-46. S Ilan Troen, Imagining Zion: Dreams, designs, and realities in a century of Jewish settlement (New Haven & London: Yale University Press, 2003), 62-81, 112-140. Shafir and Peled, Being Israeli, 37-73. Shulamit Carmi and Henry Rosenfeld, ‘Immigration, urbanization and crisis: The Process of Jewish colonization in Palestine during the 1920s’, International Journal of Comparative Sociology 12.1 (1971), 41-57. Itamar Even-Zohar, ‘The Emergence of a native Hebrew culture in Palestine: 1882–1948’, Studies in Zionism 4.1 (October 1981), 167-184. Oz Almog, The Sabra: The Creation of the new Jew, transl. from Hebrew by Haim Watzman (Berkeley & Los Angeles & London: University of California Press, 2000), 255-266. * Yael Zerubavel, Recovered roots: Collective memory and the making of Israeli national tradition (Chicago & London: University of Chicago Press, 1995), 3-76. Shlomo Avineri, The Making of modern Zionism: The Intellectual origins of the Jewish state, (New York City: Basic Books, 1981), 151-158. Eliezer Don-Yehiya, ‘Political religion in a new state: Ben-Gurion’s mamlachtiyut’, in Israel: The First decade of independence, ed. S Ilan Troen and Noah Lucas (Albany: State University of New York Press, 1995), 171-194. Shlomo Avineri, The Making of modern Zionism: The Intellectual origins of the Jewish state, (New York City: Basic Books, 1981), 198-216. Paula Kabalo, ‘Constructing civil society: Citizen associations in Israel in the 1950s’, Nonprofit and Voluntary Sector Quarterly 35.2 (June 2006), 161-182. Charles S Liebman and Eliezer Don-Yehiya, Civil religion in Israel: Traditional Judaism and political culture in the Jewish state (Berkeley: University of California Press, 1983), 123-166. Avi Bareli, ‘Mamlakhtiyut, capitalism and socialism during the 1950s in Israel’, Journal of Israeli History 26.2 (September 2007), 201-227. Orit Rozin, ‘Austerity: Desperate housewives and the government’, in The Rise of the individual in 1950s Israel: A Challenge to collectivism, transl. from Hebrew by Haim Watzman (Waltham: Brandeis University Press), 2011), 3-38. * Orit Rozin, ‘The Austerity policy and the rule of law: Relations between government and public in fledgling Israel’, Journal of Modern Jewish Studies 4.3 (November 2005), 273-290. Moshe Naor, ‘The 1948 War veterans and postwar reconstruction in Israel’, Journal of Israeli History 29.1 (March 2010), 47-59. Paula Kabalo, ‘Mediating between citizens and a new state: The History of Shurat ha-Mitnadvim’, Israel Studies 13.2 (Summer 2008), 97-121. Orit Rozin, ‘Austerity Tel-Aviv: Everyday life, supervision, compliance, and respectability’, in Tel-Aviv, the first century: Visions, designs, actualities, ed. Maoz Azaryahu and S Ilan Troen (Bloomington: Indiana University Press, 2012), 165-187. Hanna Torok Yablonka, ‘The Development of Holocaust consciousness in Israel: The Nuremberg, Kapos, Kastner, and Eichmann Trials’, Israel Studies 8.3 (Fall 2003), 1-24. Dalia Ofer, ‘History, memory, and identity: Perceptions of the Holocaust in Israel’, in Jews in Israel: Contemporary social and cultural patterns, ed. Rebhun and Waxman, Jews in Israel, 394-417. * Yechiam Weitz, ‘The Holocaust on trial: The Impact of the Kasztner and Eichmann trials on Israeli society’, Israel Studies 1.2 (Fall 1996), 1-26. * Tom Segev, The Seventh million: The Israelis and the Holocaust, transl. from Hebrew by Haim Watzman (New York City: Hill and Wang, 1994), . * Eliezer Don-Yehiya, ‘Memory and political culture: Israeli society and the Holocaust’, Studies in Contemporary Jewry 9 (1993), 139-162. Daniel Gutwein, ‘The Privatization of the Holocaust: Memory, historiography, and politics’, Israel Studies 14.1 (Spring 2009), 36-64. Yael Zerubavel, ‘The Death of memory and the memory of death: Masada and the Holocaust as historical metaphors’, Representations 45 (Winter 1994), 72-100. Shafir and Peled, Being Israeli, 74-95, 108-109. Yosef Gorny, ‘The “Melting pot” in Zionist thought’, Israel Studies 6.3 (Fall 2001), 54-70. * Moshe Lissak, ‘The Demographic-social revolution in Israel in the 1950s: The Absorption of the great aliyah’, Journal of Israeli History 22.2 (Autumn 2003), 1-31. Ben-Rafael and Peres, Is Israel one?, 107-127. Zvi Zameret, The Melting pot in Israel: The Commission of inquiry concerning education in the immigrant camps during the early years of the State (Albany: State University of New York Press, 2002), 3-6, 15-18. Yaron Tsur, ‘Carnival fears: Moroccan immigrants and the ethnic problem in the young state of Israel’, Journal of Israeli History 18.1 (Spring 1997), 73-103. Alex Weingrod, ‘Styles of ethnic adaptation: Interpreting Iraqi and Moroccan settlement in Israel’, in Israel: The First decade of independence, ed. S Ilan Troen and Noah Lucas (Albany: State University of New York Press, 1995), 523-542. Salaḥ Shabbati, directed by Ephraim Kishon (Israel, 1964), 110 min. (Academy Award nominee for Best Foreign Language Film, 1965). Elie Rekhess, ‘Initial Israeli policy guidelines towards the Arab minority, 1948–1949’, in New perspectives on Israeli history: The Early years of the State, ed. Laurence Jay Silberstein (New York City: New York University Press, 1991), 103-123. Ian Lustick, ‘Zionism and the State of Israel: Regime objectives and the Arab minority in the first years of statehood’, Middle Eastern Studies 16.1 (January 1980), 127-146. Alisa Rubin Peled, ‘The Other side of 1948: The Forgotten benevolence of Bechor Shalom Shitrit and the Ministry of Minority Affairs’, Israel Affairs 8.3 (Spring 2002), 84-103. Arnon Golan, ‘The Transfer to Jewish control of abandoned Arab lands during the War of Independence’, in Israel: The First decade of independence, ed. S Ilan Troen and Noah Lucas (Albany: State University of New York Press, 1995), 403-440. Sasson Somekh, ‘“Reconciling two great loves”: The First Jewish-Arab literacy encounter in Israel’, Israel Studies 4.1 (Spring 1999), 1-21. Eliezer Don-Yehiya, ‘Jewish messianism, religious Zionism and Israeli politics: The Impact and origins of Gush Emunim’, Middle Eastern Studies 23.2 (April 1987), 215-234. Aviezer Ravitzky, Messianism, Zionism, and Jewish religious radicalism, transl. from Hebrew by Michael Swirsky and Jonathan Chipman (Chicago & London: University of Chicago Press, 1996), 79-144. David J Schnall, ‘Gush Emunim: Messianic dissent and Israeli politics’, Judaism 26.2 (Spring 1977), 148-160. Shafir and Peled, Being Israeli, 159-183. Ilan Peleg, ‘The Israeli Right’, in Freedman, ed., Contemporary Israel, 21-44. Myron Joel Aronoff, ‘Establishing authority: The Memorialization of Jabotinsky and the burial of the Bar Kochba bones in Israel under the Likud’, in The Frailty of authority, ed. Myron Joel Aronoff (New Brunswick: Transaction Books, 1986), 105-130. Kippur, directed by Amos Gitai (Israel, 2000), 117 min. Shafir and Peled, Being Israeli, 184-210. Oded Heilbronner, ‘‘“Resistance through rituals”—Urban subcultures of Israeli youth from the late 1950s to the 1980s’, Israel Studies 16.3 (Fall 2011), 97-121. Nisuʾin fiqṭiviyim [Fictitious marriage], directed by Haim Bouzaglo (Israel, 1988), 90 min. Tamar Rapoport, ‘The Many voices of Israeli youth: Multiple interpretations of Rabin’s assassination’, in The Assassination of Yitzhak Rabin, ed. Yoram Peri (Stanford: Stanford University Press, 2000), 197-226. Mark Rosenblum, ‘After Rabin: The Malaise of the Israeli Zionist Left’, in Freedman, ed., Contemporary Israel, 45-75. Asher Arian, Shlomit Barnea, Pazit Ben-Nun, et al., Auditing Israeli democracy—2005: A Decade after the assassination of Prime Minister Yitzhak Rabin (Jerusalem: Israel Democracy Institute, 2005), 127-135. Dan Bar-On, ‘Israeli society between the culture of death and the culture of life’, Israel Studies 2.2 (Fall 1997), 88-112. Shafir and Peled, Being Israeli, 308-323. Sammy Smooha, ‘The Mass immigrations to Israel: A Comparison of the failure of the Mizrahi immigrants of the 1950s with the success of the Russian immigrants of the 1990s’, Journal of Israeli History 27.1 (March 2008), 1-27. Steven Kaplan and Hagar Salamon, ‘Ethiopian Jews in Israel: A Part of the people or apart from the people?’, in Jews in Israel: Contemporary social and cultural patterns, ed. Rebhun and Waxman, Jews in Israel, 118-147. Vladimir Zeʾev Khanin, ‘Israel’s “Russian” parties’, in Freedman, ed., Contemporary Israel, 97-114. Ben-Rafael and Peres, Is Israel one?, 129-150, 151-164. * Ian S Lustick, ‘Israel as a non-Arab state: The Political implications of mass immigration of non-Jews’, Middle East Journal 53.3 (Summer 1999), 417-433. * Vladimir Zeʾev Khanin, ‘Russian-Jewish political experience in Israel: Patterns, elites and movements’, Israel Affairs 17.1 (January 2011), 55-71. Zvi Y Gitelman, ‘The “Russian revolution” in Israel’, in Critical issues in Israeli society, ed. Alan Dowty (Westport & London: Praeger, 2004), 95-108. Elazar Leshem and Moshe Sicron, ‘The Soviet immigrant community in Israel’, in Jews in Israel: Contemporary social and cultural patterns, ed. Rebhun and Waxman, Jews in Israel, 81-117. Eliezer Ben-Rafael, ‘Mizrahi and Russian challenges to Israel’s dominant culture: Divergences and convergences’, Israel Studies 12.3 (Fall 2007), 68-91. Durrenda Ojanuga, ‘The Ethiopian Jewish experience as blacks in Israel’, Journal of Black Studies 24.2 (December 1999), 147-158. Tamar Horowitz, ‘The Integration of immigrants from the former Soviet Union’, Israel Affairss 11.1 (Winter 2005), 117-136. Shafir and Peled, Being Israeli, 323-334. Nelly Elias and Adriana Kemp, ‘The New second generation: Non-Jewish olim, Black Jews and children of migrant workers in Israel’, Israel Studies 15.1 (Spring 2010), 73-94. Haim Yacobi, ‘‘Let me go to the city’: African asylum seekers, racialization and the politics of space in Israel’, Journal of Refugee Studies 24.1 (2011), 47-68. Ben-Rafael and Peres, Is Israel one?, 187-199. Rebeca Raijman and Adriana Kemp, ‘Israel: The New immigration to Israel: Becoming a de facto immigration state in the 1990s’, in Immigration worldwide: Policies, practices, and trends, ed. Uma Arnand Segal, Doreen Elliott, and Nazneen S Mayadas (Oxford & New York City: Oxford University Press, 2010), 227-243. Rebeca Raijman and Moshe Semyonov, ‘Perceived threat and exclusionary attitudes towards foreign workers in Israel’, Ethnic and Racial Studies 27.5 (September 2007), 780-799. David V Bartram, ‘Foreign workers in Israel: History and theory’, International Migration Review 32.2 (Summer 1998), 303-325. Allan Borowski and Uri Yanay, ‘Temporary and illegal labour migration: The Israeli experience’, International Migration 35.4 (December 1997), 495-511. Sarah S Willen, ‘Toward a critical phenomenology of “illegality”: State power, criminalization, and abjectivity among undocumented migrant workers in Tel Aviv, Israel’, International Migration 45.3 (August 2007), 8-38. Strangers no more, directed by Karen Goodman and Kirk Simon (Israel, 2010), 40 min. (Academy Award winner for Best Documentary, Short Subjects, 2011). Maoz Azaryahu, ‘McIsrael? On the “Americanization of Israel”’, Israel Studies 5.1 (Spring 2000), 41-64. James S Diamond, ‘“And Never the twain shall meet”? Reflections on the Americanization of Israeli culture’, Israel Studies 5.1 (Spring 2000), 330-336. Nahshon Perez, ‘The Privatization of Jewishness in Israel (or, on economic post-Zionism)’, Israel Affairs 19.2 (June 2013), 273-289. Shafir and Peled, Being Israeli, 213-259. Miri Kubovy, ‘Inniut and kooliut: Trends in Israeli narrative literature, 1995–1999’, Israel Studies 5.1 (Spring 2000), 244-265. Uzi Rebhun and Chaim Isaac Waxman, ‘The “Americanization” of Israel: A Demographic, cultural and political evaluation’, Israel Studies 5.1 (Spring 2000), 65-91. Gabriel Weimann, ‘Images of life in America: The Impact of American TV in Israel’, International Journal of Intercultural Relations 8 (1984), 185-197. Shafir and Peled, Being Israeli, 95-109. Hanna Herzog, ‘Women in Israeli society’, in Jews in Israel: Contemporary social and cultural patterns, ed. Rebhun and Waxman, Jews in Israel, 195-220. Alisa Solomon, ‘Viva la diva citizenship: Post-Zionism and gay rights’, in Queer theory and the Jewish question, ed. Daniel Boyarin, Daniel Itzkovitz, and Ann Pellegrini (New York City: Columbia University Press, 2003), 149-165. Lee Walzer, Between Sodom and Eden: A Gay journey through today’s changing Israel, New York City: Columbia University Press, 2000), 13-57. Yael Azmon and Dafna N Izraeli, ‘Introduction: Women in Israel—A Sociological overview’, in Women in Israel, ed. Yael Azmon and Dafna N Izraeli (New Brunswick: Transaction Publishers, 1993), 1-21. Frances Raday, ‘Women’s human rights: Dichotomy between religion and secularism in Israel’, Israel Affairs 11.1 (January 2005), 78-94. Zvi Zameret, ‘Judaism in Israel: Ben-Gurion’s private beliefs and public policy’, Israel Studies 4.2 (Fall 1999): 64-89. Shlomo Avineri, The Making of modern Zionism: The Intellectual origins of the Jewish state, (New York City: Basic Books, 1981), 187-197. Chaim Isaac Waxman, ‘Religion in the Israeli public square’, in Jews in Israel, ed. Rebhun and Waxman, 221-239. Shmuel Sandler and Aaron Kampinsky, ‘Israel’s religious parties’, in Freedman, ed., Contemporary Israel, 77-95. Shafir and Peled, Being Israeli, 137-155. Ben-Rafael and Peres, Is Israel one?, 61-85. Yoel Finkelman, ‘The Ambivalent Haredi Jew’, Israel Studies 19.2 (Summer 2014), 264-293. Eliezer Don-Yehiya, ‘Religious leaders in the political arena: The Case of Israel’, Middle Eastern Studies 20.2 (April 1984), 154-171. Elie Rekhess, ‘The Evolvement of an Arab–Palestinian national minority in Israel’, Israel Studies 12.3 (Fall 2007), 1-28. Ephraim Yuchtman-Yaar and Zeʾev Shavit, ‘The Cleavage between Jewish and Arab Israeli citizens’, in Jews in Israel: Contemporary social and cultural patterns, ed. Rebhun and Waxman, Jews in Israel, 345-370. Dov Waxman, ‘A Dangerous divide: The Deterioration of Jewish-Palestinian relations in Israel’, Middle East Journal 66.1 (Winter 2012), 11-29. Shafir and Peled, Being Israeli, 110-136. Hillel Frisch, ‘Israel’s Arab parties’, in Freedman, ed., Contemporary Israel, 115-134. * Elie Rekhess, ‘The Arab minority in Israel: Reconsidering the “1948 paradigm”’, Israel Studies 19.2 (Summer 2014), 187-217. Tamir Sorek, ‘Arab football in Israel as an “integrative enclave”’, Ethnic and Racial Studies 26.3 (May 2003), 422-450. Nadim N Rouhana, Palestinian citizens in an ethnic Jewish state: Identities in conflict (New Haven: Yale University Press, 1997), 79-107. Hillel Frisch, ‘Israel and its Arab citizens’, Israel Affairs 11.1 (January 2005), 207-222. ʿAjami, directed by Scandar Copti and Yaron Shani (Israel, 2009), 124 min. (Academy Award nominee for Best Foreign Language Film, 2010). Mordechai Nisan, ‘The Druze in Israel: Questions of identity, citizenship, and patriotism’’, Middle East Journal 64.4 (Autumn 2010), 575-596. Éléonore Merza, ‘In search of a lost time: (Re)construction of identity in the Circassian diaspora in Israel’, Bulletin du Centre de recherche français à Jérusalem 19 (2008): 1-7. Havatzelet Yahel, ‘Land disputes between the Negev Bedouin and Israel’, Israel Studies 11.2 (Summer 1997), 1-22. D Gershon Lewental, ‘The Bahāʾī community and the State of Israel’ (forthcoming). Ben-Rafael and Peres, Is Israel one?, 167-185. Chen Bram, ‘Muslim revivalism and the emergence of civic society: A Case study of an Israeli-Circassian community’, Central Asian Survey 22.1 (March 2003), 5-21. Jacob Abadi, ‘Israeli-Druze relations: An Appraisal’, Studies in Contemporary Islam 5.1–2 (Spring–Fall 2003), 137-160. Kais M Firro, ‘Druze maqāmāt (shrines) in Israel: From ancient to newly-invented tradition’, British Journal of Middle Eastern Studies 32.2 (November 2005), 217-239. Laila Parsons, ‘The Druze, the Jews, and the creation of a shared history’, in Muslim-Jewish encounters: Intellectual traditions and modern politics, ed. Ronald L Nettler and Suha Taji-Farouki (Amsterdam: Harwood Academic Publishers, 1998), 131-148. Seth J Frantzman, ‘The Politization of history and the Negev Bedouin land claims: A Review essay on Indigenous (in)justice’, review of Ahmad Amara, Ismael Abu-Saad, and Oren Yiftachel, eds., Indigenous (in)justice: Human rights law and Bedouin Arabs in the Naqab/Negev (Cambridge: Harvard University Press, 2013), Israel Studies 19.1 (Spring 2014), 48-74. 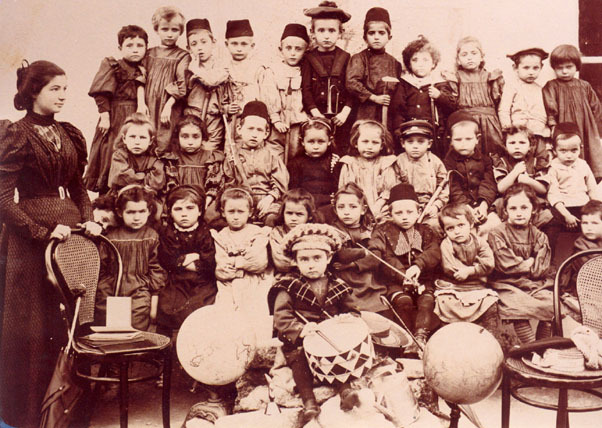 Nirit Reichel, ‘The Role of the educational system in retaining Circassian identity during the transition from Ottoman control to life as Israeli citizens (1878–2000)’, Israel Affairs 16.2 (April 2010), 251-267. Keren Rubinstein, ‘Israeli culture from 1948 to the present’, in The Wiley-Blackwell history of Jews and Judaism, ed. Alan T Levenson (Malden: Wiley-Blackwell, 2012), 548-570. Motti Regev, ‘Musica mizrakhit, Israeli rock and national culture in Israel’, Popular Music 15.3 (October 1996), 275-284. Gabriel Weimann, ‘Cable comes to the Holy Land: The Impact of cable TV on Israeli viewers’, Journal of Broadcasting & Electronic Media 40.2 (Spring 1996), 243-257. Israeli society today: Crossroads or continuity? Ben-Rafael and Peres, Is Israel one?, 283-300. Shlomo Avineri, The Making of modern Zionism: The Intellectual origins of the Jewish state, (New York City: Basic Books, 1981), 217-227. Uzi Rebhun and Chaim Isaac Waxman, ‘Challenges for the Twenty-First Century’, in Jews in Israel: Contemporary social and cultural patterns, ed. Rebhun and Waxman, Jews in Israel, 467-479. Yair Wallach, ‘The Politics of non-iconic space: Sushi, shisha, and a civic promise in the 2011 summer protests in Israel’, European Urban and Regional Studies 20.1 (January 2013), 150-154. Nathan Marom, ‘Activising space: The Spatial politics of the 2011 protest movement in Israel’, Urban Studies 50.13 (October 2013), 2826-2841. Shafir and Peled, Being Israeli, 335-348. Paul Rivlin, ‘The Israeli economy’, in The Wiley-Blackwell history of Jews and Judaism, ed. Alan T Levenson (Malden: Wiley-Blackwell, 2012), 571-585. Eitan Y Alimi, ‘”Occupy Israel”: A Tale of startling success and hopeful failure’, Social Movement Studies 11.3–4 (2012), 402-407.